Published by Lawyers Insurance Group, legal malpractice insurance brokers and subject matter experts. Our mission is to obtain the best terms available in the market for your organization’s in-house counsel. We accomplish this by scouring the market on their behalf, leveraging our access to the“A”-rated insurers that offer this coverage. We also assist with special situations: limits > $5M, coverage non-renewed, office outside U.S., etc. I. In-House Counsel Malpractice Insurance FAQs: what does it cover? In-House Counsel Insurance, which insurers call Employed Lawyers Insurance, covers defense costs and indemnity payments incurred to resolve claims made against an attorney for services rendered as in-house counsel of the organization that purchased the policy. Some policies also cover claims arising out of Moonlighting or Pro Bono services provided by in-house counsel. II. In-House Counsel Malpractice Insurance FAQs: who does it cover? An organization’s in-house attorneys, employees who support them in providing legal services, i.e., paralegals, legal assistants, etc., and contract attorneys. III. In-House Counsel Malpractice Insurance FAQs: does your organization need it, if it carries D&O and/or E&O insurance? Directors & Officers (D&O) insurance protects an organization, its officers, and its outside directors against liability arising from actions taken in the course of doing business. The in-house counsel who’s sued is a director or officer of the company. The lawsuit is based on business advice that in-house counsel provided to the board, not legal advice. D&O policies exclude coverage for professional services, including legal services, so the insurer will deny coverage for any claim brought against in-house counsel that arises out of the rendering of legal services. Thus, if an organization carries D&O insurance, and its general counsel isn’t an officer, and thus not covered by its policy, then it can designate him or her as an officer, and have the insurer amend the policy to cover in-house counsel for claims arising out of his/her business advice. The insurer may even endorse the policy to cover all of the organization’s in-house attorneys. However, the attorneys will still need Employed Lawyers coverage to protect against claims arising out of legal services they provide. Errors & Omissions (E & O) coverage applies to mistakes made by a company in delivering professional services to customers. E&O policies routinely exclude coverage for legal malpractice, and thus won’t respond to a legal malpractice claim against in-house counsel. IV. In-House Counsel Malpractice Insurance FAQs: why should organizations buy it? A. Because in-house counsel have and will continue to take on greater responsibilities, as companies reduce their “spend” on outside counsel. Besides the traditional tasks of contract drafting, employment matters, etc., today in-house counsel may handle litigation, IP, cyber-security, and regulatory compliance matters. Greater numbers of in-house attorneys handling more matters and more complex matters, increases the risk of errors being made that result in malpractice claims. B. Asset protection for their employed attorneys: without insurance, an in-house attorney will have to fund his or her own malpractice claim defense and any indemnity payment made to the plaintiff, which may exhaust the attorney’s assets. C. Professional claim handling v. handling the claim on your own: employed lawyers insurers employ professional claims staff who handle these claims every day, and have contracts with law firms that specialize in defending these claims. Corporations and in-house counsel don’t. D. Recruitment: some in-house counsel won’t work for a company that doesn’t provide employed lawyers coverage, because they don’t want their personal assets to be at at risk if they’re sued for malpractice. Further, even if you’ve never incurred a malpractice claim, and pride yourself on practicing law safely, you never know when you’ll make a mistake or encounter a situation that leads to a claim being filed against you, even if you’ve done nothing wrong. That’s an enormous gamble to take when your employer can instead pay a relatively modest premium for a policy that will let you avoid those risks. V. In-House Counsel Malpractice Insurance FAQs: what kinds of claims are filed against in-house counsel? Claims by the in-house counsel’s employer for negligence. Claims by coworkers for discrimination, harassment, or wrongful termination arising out of the attorney’s legal work for the employer, i.e., investigating a sexual harassment claim. Claims by individual employees the in-house attorney is assigned to represent, i.e. for conflict-of-interest and/or negligent representation. Claims by non-client third parties, i.e., the employer’s creditors, customers, shareholders, trustees, etc. Claims brought by the employer, the board of directors, and officers. Claims arising out of pro bono representations. Claims arising out of moon-lighting activities. Claims brought by the SEC or other regulatory body. Government prosecutions of in-house counsel. Contract drafting errors, negligent advice to the HR department, breach of duties to ERISA fiduciaries, malicious prosecution, and misrepresentation are the most common types of claims made against in-house counsel. VI. In-House Counsel Malpractice Insurance FAQs: what are some specific examples of claims filed against in-house counsel? A treasurer of a publicly held financial corporation was required to obtain a certain license from the Office of Thrift Supervision as part of his employment. When applying for the license, he failed to disclose a prior misdemeanor arrest, which led to the denial of his application, and his termination. He sued his former employer and its corporate counsel, alleging that she had advised him to omit the prior arrest on his application. He claimed negligence, negligent supervision and retention, legal malpractice, defamation/ injury to reputation, and breach of contract, and demanded over $9 million for damages, plus attorneys’ fees and costs. The case settled for $1 million. A former vice president/general counsel sued his former employer to collect a severance package. The employer filed a counterclaim for malpractice, alleging that counsel had negligently supervised the company’s outside lawyers. A city attorney was sued by the city for allowing a default judgment against the city. An insider-trading claim against a publicly held company alleged that the company misstated its earnings. In addition to insider trading claims, the in-house lawyer was charged with giving improper advice to the company’s managers and directors as to what kinds of earnings could be stated in the company’s disclosures. Yanez v. Plummer, 2013 Cal. App. LEXIS 891 (Cal. App. 3d Dist. Nov. 5, 2013): the California Third District Court of Appeals overruled summary judgment in favor of an in-house lawyer sued by an employee of the corporation. The in-house lawyer represented the employee during a deposition involving a workplace accident. The employee had previously provided two written statements describing the workplace accident, and was concerned that his testimony in the deposition would be harmful to the position of his employer. During the deposition, in-house counsel highlighted inconsistencies between one of the written statements and his deposition testimony (thus undermining one of her clients). The employee was terminated for dishonesty, ostensibly due to the difference between his written statements and his deposition testimony. He sued his employer for wrongful termination, and in-house lawyer for malpractice. The Court of Appeals reversed the summary judgment ruling, finding that the in-house lawyer had failed to inform the employee of her potential conflict of interest – she represented both the employee and the employer – and failed to obtain the employee’s written consent to represent him after disclosing the conflict. This was sufficient to constitute evidence of malpractice and a breach of fiduciary duty. The Court permitted the malpractice claim of the employee against the in-house lawyer to proceed to trial. VII. In-House Counsel Malpractice Insurance FAQs: what policy limits should I buy? Most insurers have a minimum limit of $500,000 per claim/$500,000 annual aggregate. This means that the insurer will pay a maximum of $500,000 for defense and indemnity costs for any one claim made against in-house counsel, and a maximum of $500,000 for all claims made during the policy period, which is one year. The next level of limits is $500,000/$1,000,000, then $1,000,000/$1,000,000, $1,000,000/$2,000,000 etc., up to $10M/$10M, which is the maximum that the major insurers offer. We can procure higher limits in the excess insurance market. The right policy limits for your legal department depends mainly on its attorney count and the types of matters that it handles. Your firm’s broker should review the legal department’s operations every year, and tell you if its limits are adequate; if they’re not, have your broker solicit quotes for higher limits, and then decide if they’re worth the higher premium. For a one-attorney legal department, handling mostly routine contract and employment matters, a limit of $500,000/$500,000 is generally sufficient, although many choose a limit of $1,000,000/$1,000,000, as it provides twice as much protection for about 15% greater cost. Solo in-house counsel who handle IP, litigation, or securities matters should purchase a limit of at least $1 million/$1 million. Multi-lawyer legal departments need higher limits, due to their greater number of lawyers, i.e., a minimum limit of $1 million/$1 million for a 2-lawyer department, $1. 5 million/$1.5 million for a 3-lawyer firm, etc. The limits per attorney tend to decrease as firm size increases. For example, a one-attorney legal department that does ‘high-risk’ work may carry a $1M limit, but a four-attorney department doing the same work will likely a carry $3M limit, not a $4M limit, and a 10-lawyer department would likely carry a $5M – $6M limit, not $10M. Note: You should raise your policy limits as your legal department’s headcount, revenue, and prior acts exposure increases. VIII. In-House Counsel Malpractice Insurance FAQs: what else do I need to know about policy limits? Employed lawyers policies have “claim expenses within the limits” (CEIL), which means that legal fees and related costs are deducted from the limit as they’re paid, which leaves that much less for indemnity payments (settlement or judgment). Too, once the limit is exhausted, the policy will no longer pay claim expenses or indemnity costs, so the attorney will have to fund any additional costs out-of-pocket. These are also called “eroding limits” policies. You should take this into account, when deciding what policy limits to buy. IX. In-House Counsel Malpractice Insurance FAQs: what deductible should I buy? The minimum is $2,500; higher options are $5,000, $10,000, $15,000, $25,000, $50,000, $100,000, etc. The higher the deductible, the lower the premium, but insurers will offer only as a high a deductible as they believe the buyer can afford to pay, based on its annual revenue, etc. X. In-House Counsel Malpractice Insurance FAQs: what is Prior Acts coverage? Prior Acts coverage a/k/a Retroactive coverage, covers an organization’s in-house counsel for alleged malpractice it committed before the inception date of its current employed lawyers coverage (hence the name “prior acts coverage”). 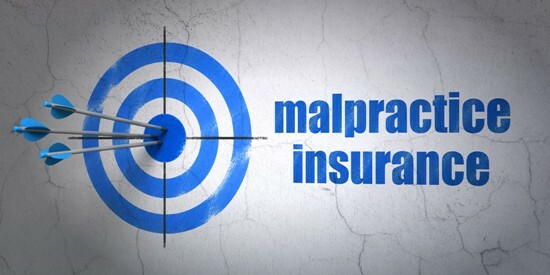 Without it, counsel is covered only for malpractice that occurred on or after the policy inception date; however, many malpractice claims aren’t filed until several years after the alleged wrongdoing, i.e., before the current policy’s inception date. Insurers won’t provide prior acts coverage when a company buys its first emplopyed lawyers policy, but once it does buy a policy, as long as it renews it every year without letting it lapse, its insurer will offer it prior acts coverage back to the inception date of its first policy, i.e., in the second year of coverage, in-house counsel will have one year of prior acts coverage, in its third year, it’ll have two years of prior acts coverage, etc. Even if the company switches insurers, the new insurer will offer the same prior acts coverage as the prior insurer. Insurers charge extra for prior acts coverage in each of the first four years that a legal department renews its coverage. However, buying a policy without prior acts coverage is a poor risk management strategy, so we advise against it. XI. In-House Counsel Malpractice Insurance FAQs: what else do I need to know? Some insurers can provide quotes in as few as three days, but if you send your application to a broker that close to your renewal or desired policy inception late, you’ll get just a few quotes, because most insurers need more time than that. It generally takes about two weeks to find the best available terms in the market. Further, you should allow a few days to revise your application after your broker has reviewed it. Bottom line: try to send your application to your broker at least three weeks before your organization’s current policy expires, or its desired policy inception date, if it doesn’t currently have insurance. In House Counsel: Who Has You Covered?